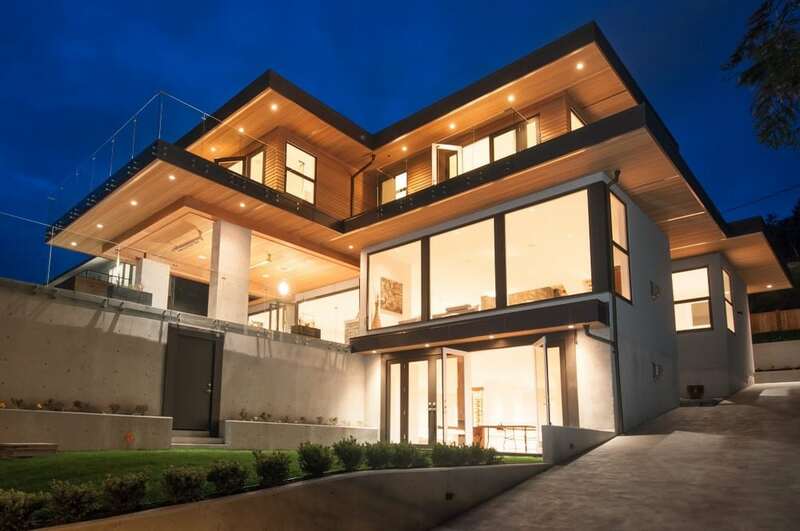 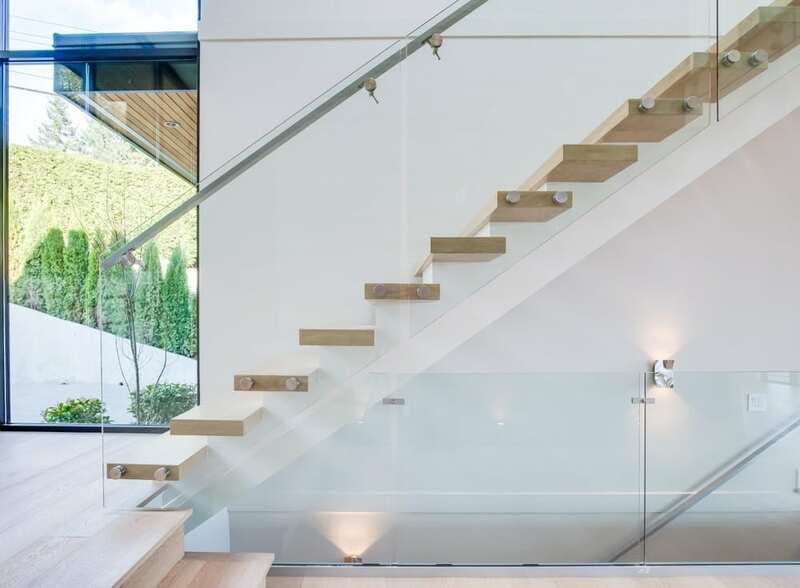 I am proud to present 2505 Palmerston Avenue, a truly spectacular contemporary estate in prestigious Dundarave, West Vancouver! 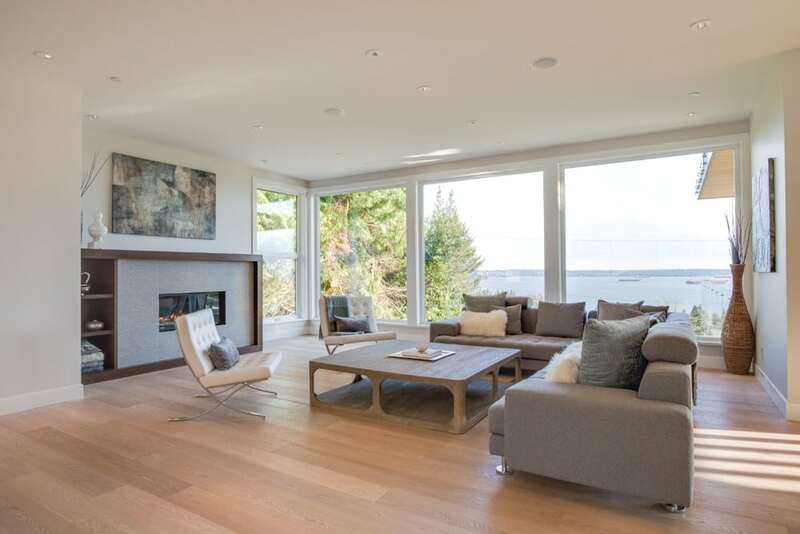 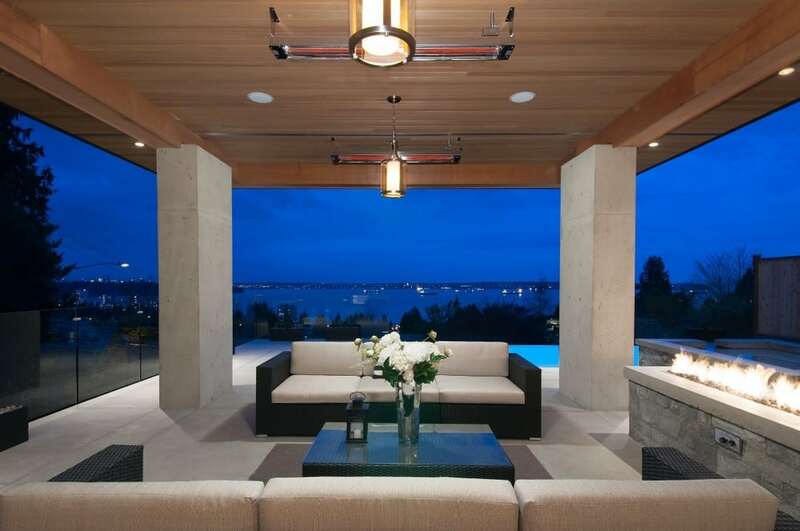 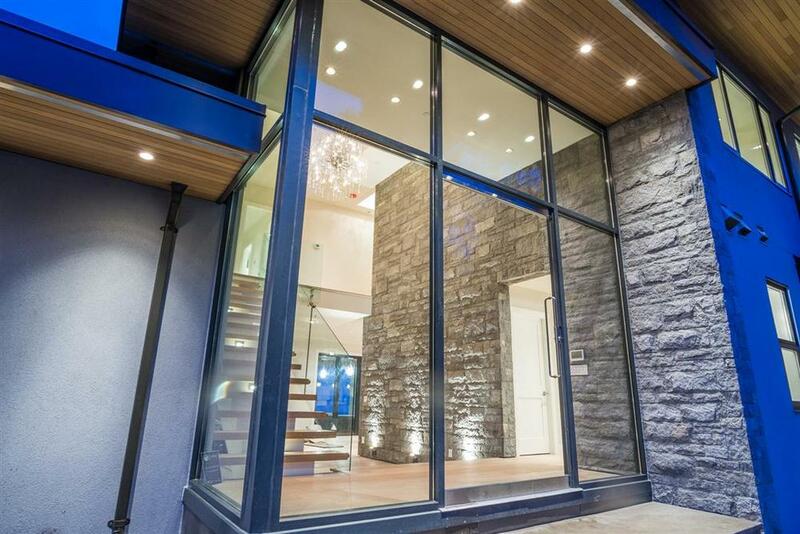 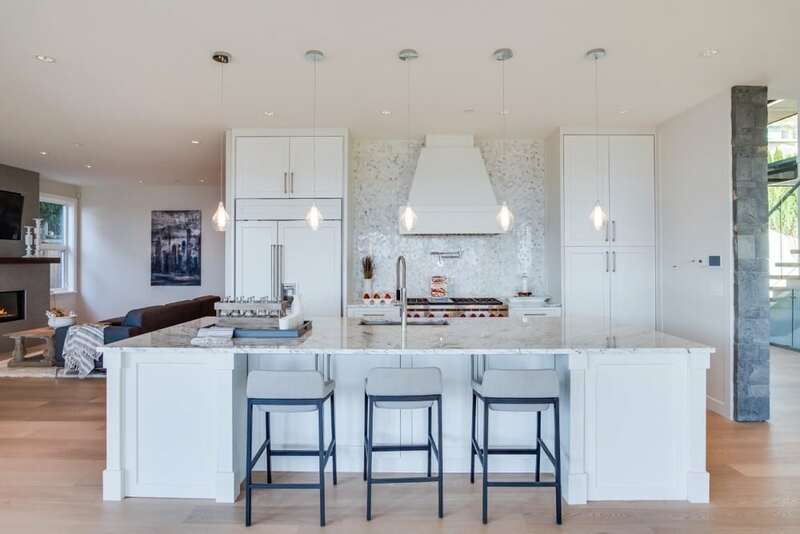 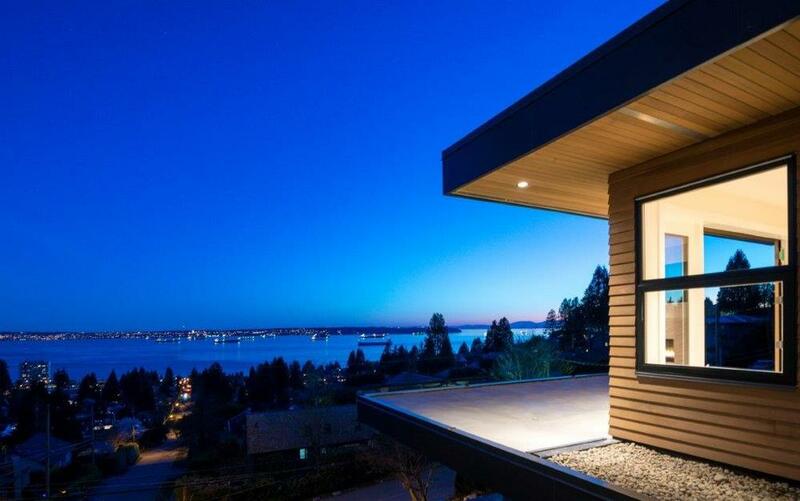 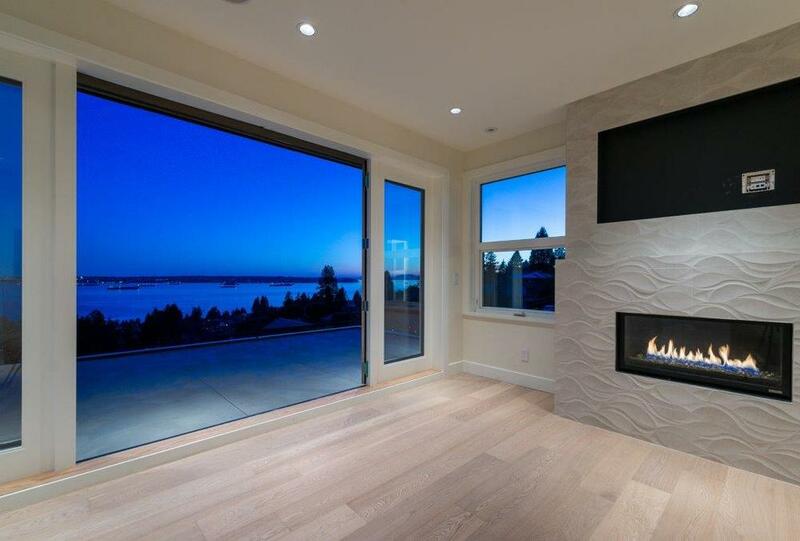 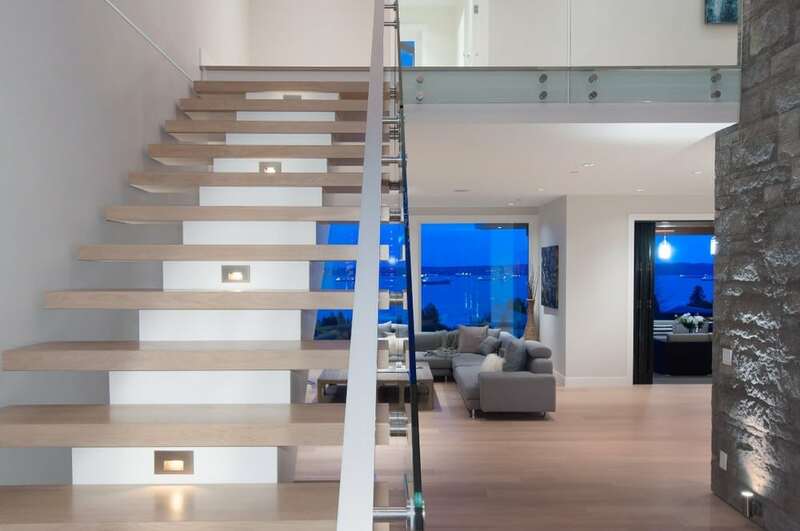 Dramatic modern design with stunning south facing ocean and city views from all 3 levels. 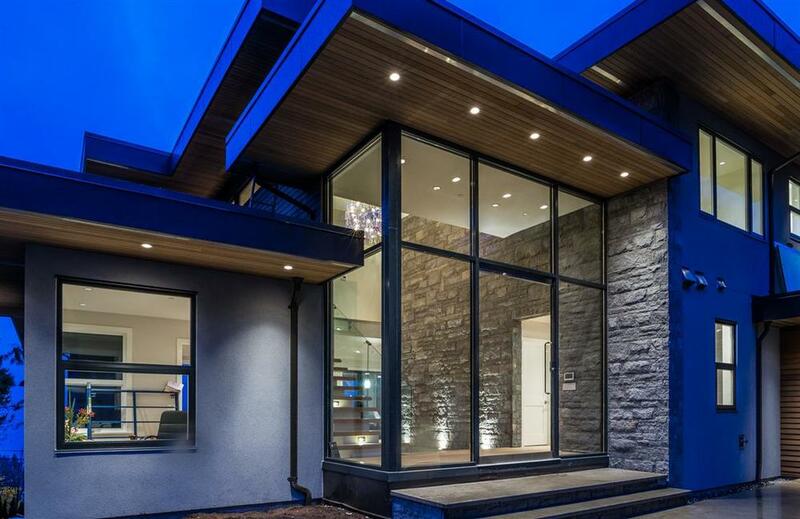 The sky-lit foyer is magnificent with a 20′ glass atrium, a beautiful floor to ceiling stone feature wall, floating oak staircase, and crystal chandelier.Step into the open plan main level with 10′ ceilings, oak hardwood floors, two gorgeous gas fireplaces, eclipse doors opening onto a surreal outdoor living space, and an exquisite kitchen appointed with marble counters tops and tile, custom cabinetry, Wolf dual oven 6 burner range, Sub Zero wine fridge and refrigerator, and a separate Butler’s Kitchen. 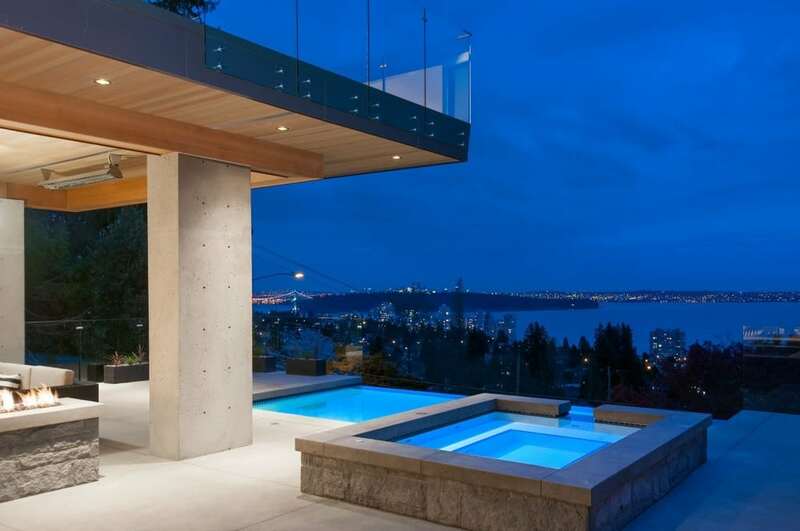 Unwind and entertain on the covered patio featuring an infinity edge pool overlooking the city and inner harbour, modern fire pit, outdoor heaters, hot tub, and a built in Napolean BBQ. 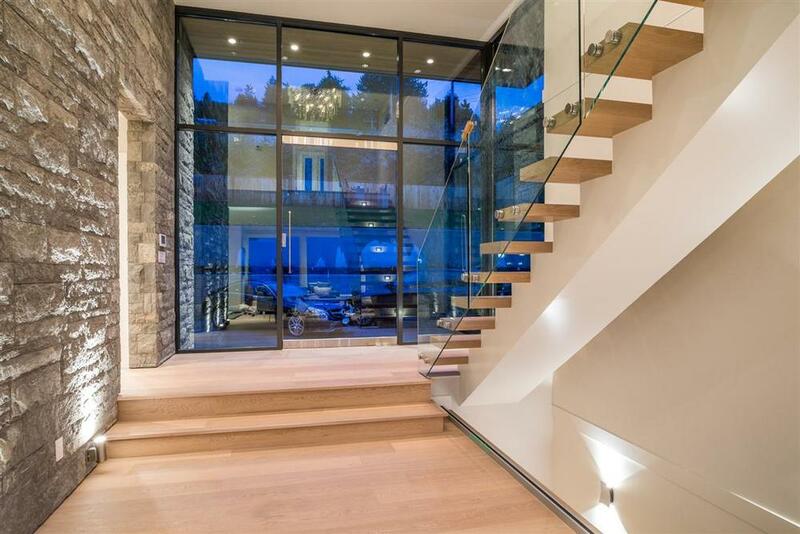 Four large bedrooms up with a master suite fit for a King featuring a magical en suite, massive walk in closet, and private balcony with inspiring panoramic views. 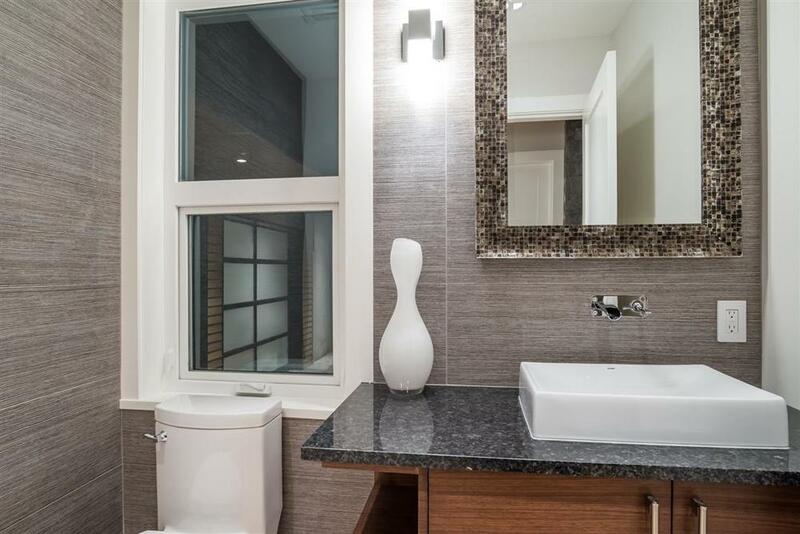 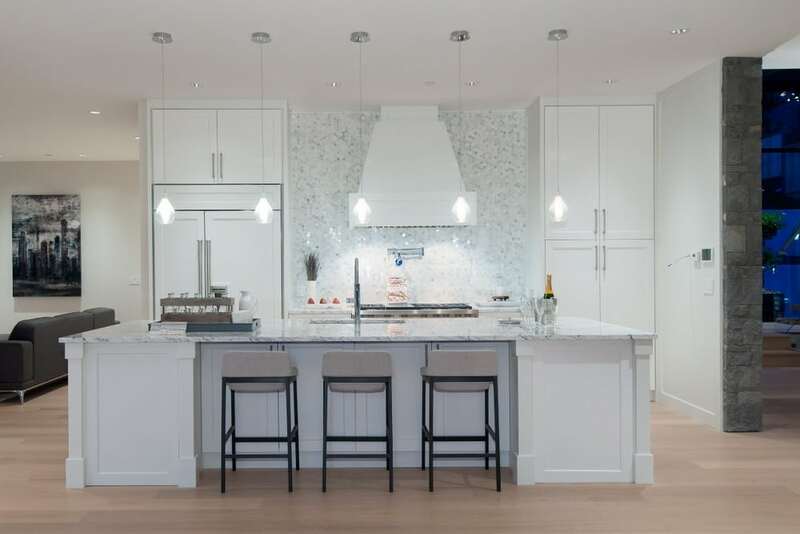 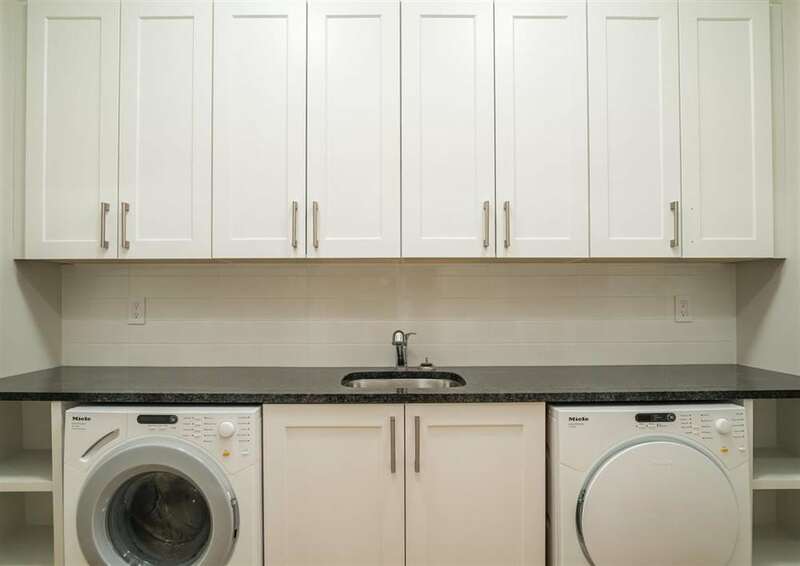 The bright walk out basement boasts a wet bar, home theatre, oak hardwood floors, games room, wine cellar, two spacious bedrooms, and french doors onto the lawn. 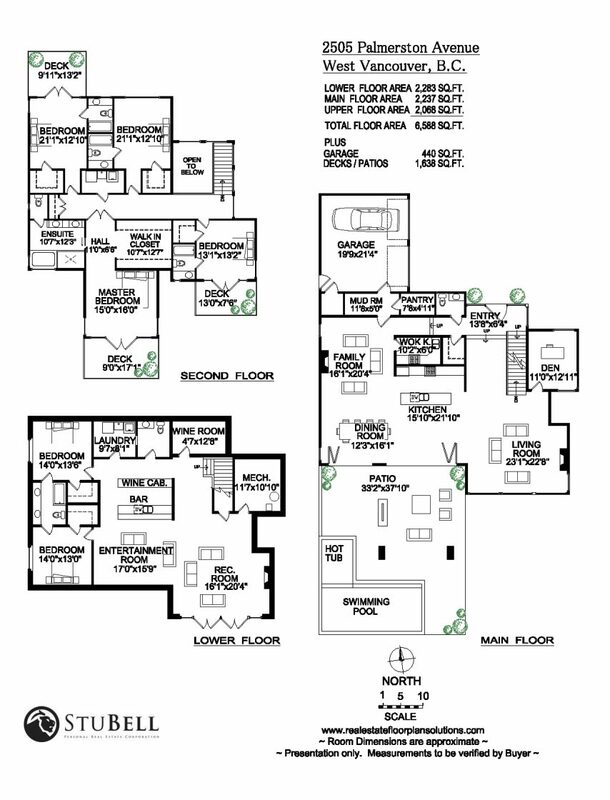 Control 4 Smart Home with air conditioning, radiant heat throughout, and 2-5-10 New Home Warranty. 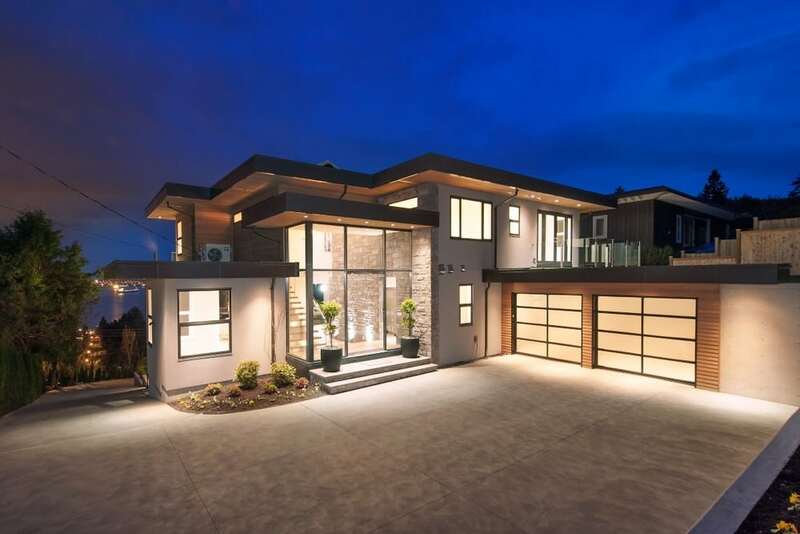 The ultimate Dundarave Dream Home!